Of the many car-related technologies that have been invented in recent years, one of the most popular changes for drivers has been the increase of dash cam usage. Not only are dash cams fun for capturing footage of your ride, but they’re also a great tool for catching proof of parking lot incidents and accidents. However, with all products, there are good and bad options. The best dash cam with parking mode will ensure that you get the footage you need, while sub-quality products might miss the most crucial moment. Let’s then take a closer look at the most popular and effective dash cams with parking mode in 2018; your perfect cam might be listed here today! One of the most notable features of this product is the quality of the 1296P front and 1080P back cameras, as well as the option to toggle the recording mode to capture from one or both of these lenses. Similarly, both lenses capture HD footage that will give you the best chance to review your driving record. 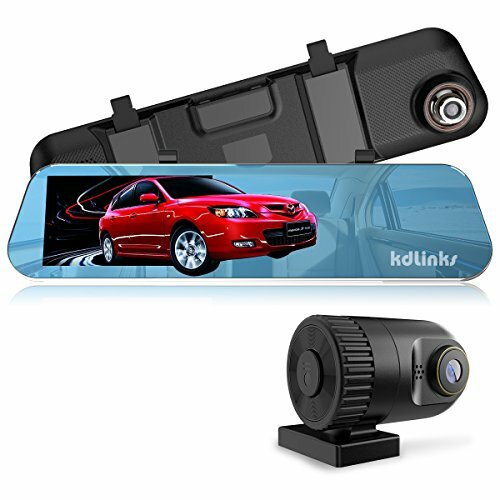 This dual-mode camera is specifically created to help you capture movement and activity that occurs around your car while parked. When movement is detected, the camera will automatically turn on and record for a short period of time. This feature helps to capture run-ins that might happen when you’re not in your car. This dual camera is also equipped with a decent degree of night vision. The six-glass lens and wide range ensure that you can capture activity in both day and night situations so that you won’t miss anything. Additionally, it has a built-in 800mAh battery, an auto-off feature, and a five-inch IPS screen. This dual-lens camera is set up to record both what happens ahead of you and behind you. With motion-sensor and high-quality night vision recording options, this dash cam is perfect for situations in which you need to monitor a parked car overnight. This dash cam is set up to start recording when there is sudden acceleration or deceleration. This emergency recording setting ensures that even when you are not recording your entire drive, you will not miss capturing footage that could help you get compensation for any accidents that you may be involved in. The same G-sensor helps to monitor your car when it is parked, which means that when this sensor is triggered, the cam will automatically start recording. What is better is that the sections of footage recorded will not be written over by a continuous loop and will be protected until you review the footage. This dash cam comes with a 360-degree mount that can easily be secured and adjusted to the angle and direction that you want to record. While the mount is secure on its own, the manufacturer has also included double-sided tape for additional security. This discreet dash cam is simple to set up and secure in place with a 360-degree swivel mount. When the cam detects strong movement or a bump, it begins recording emergency footage that will be stored until reviewed, ensuring that you capture any incidents that occur. 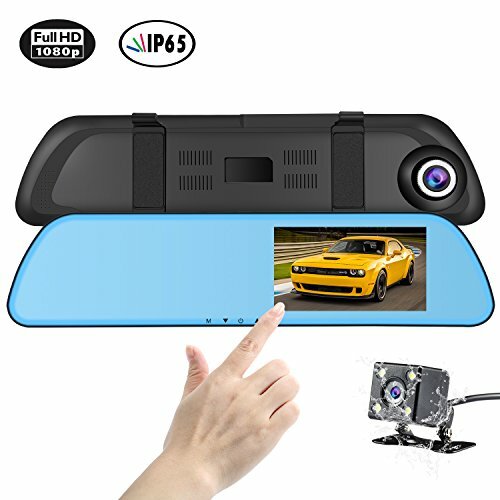 The SENDOW Dual Lens Dash Camera comes equipped not just with both a rear and front-facing camera, but also with a unique 4.5-inch touchscreen mirror that has a wide perspective and four viewing settings. This monitoring mirror mounts on your rearview mirror, giving you the additional ability to see even into blind spots that wouldn’t be seen with a normal mirror set up. This dash cam has both collision recording and parking mode. Normally, the camera records one, three, or five-minute loops and continuously writes over itself, but when the G-sensor or park mode notice that something has happened, that file will be locked so that it cannot be overwritten. This will make sure that you will not miss any vital footage. Additionally, this dash cam is outfitted with very wide angles for both the front and back of your car. Specifically, the front camera captures at an angle of up to 150 degrees while the back camera captures 120 degrees. The SENDOW Dash Cam is a superb camera that features more than just front and rear cameras. It offers very wide views that can be seen on the ultra-responsive monitor mirror at a simple touch, giving the driver protection, control, and versatility. Now that you’ve seen what some of the best dash cams with parking mode options have to offer, it’s time to select which cam outperforms all of the other ones. With its advanced features, high-quality, and exceptional performance, we considered the SENDOW Dual Lens Dash Camera as the top choice. 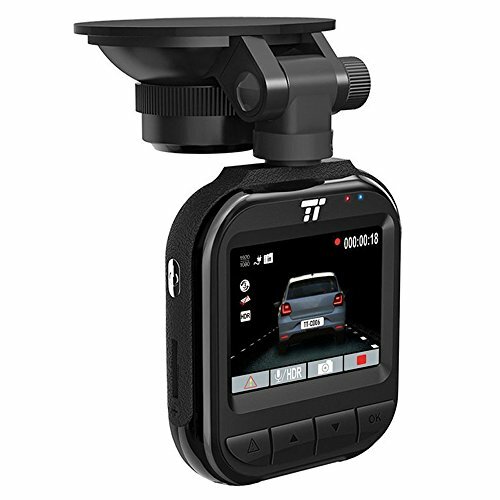 In addition to parking mode, this dash cam has wide-range lenses which ensure that you can both see and capture everything you might need to see while driving. All-in-all, the SENDOW Dual Lens stands out as the lens that makes the most sense whether you are on the road or monitoring your parked car from potentially damaging incidents. Using a dash cam in today’s world is a no-brainer, but what takes more thought is finding the right one. Hopefully, this list helped you find the perfect choice!